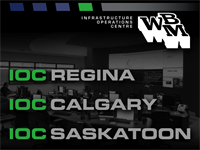 WBM is a $70 million technology systems provider, delivering Best in Class results in security, cloud, and hyper converged datacenter solutions and support to some of the most impressive Enterprises in Western Canada. Ranked on the MSPMentor Global 501 as the world’s 40th largest managed technology services provider, WBM operates out of technology campuses in Vancouver, Calgary, Regina, & Saskatoon. We hold numerous industry awards ranging from Best Technology Solution Provider in Canada, to being the 2016 Dell EMC Partner of the Year in Western Canada. Today, we are transforming into a new world of innovation and technologies, with one of the industry’s most impressive client communities rallying around our people and our vision.